Lo of Lo Boheme sent me these sneak peaks of her new spring line. 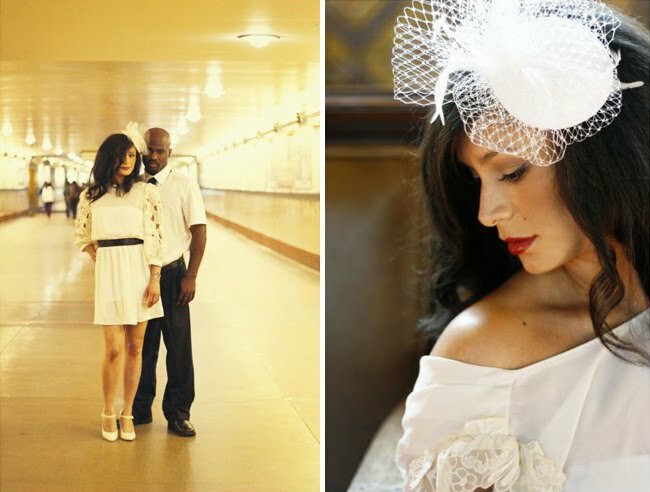 The photos are by Diandra Ann Photography and were shot around Alvera Street and Union Station. 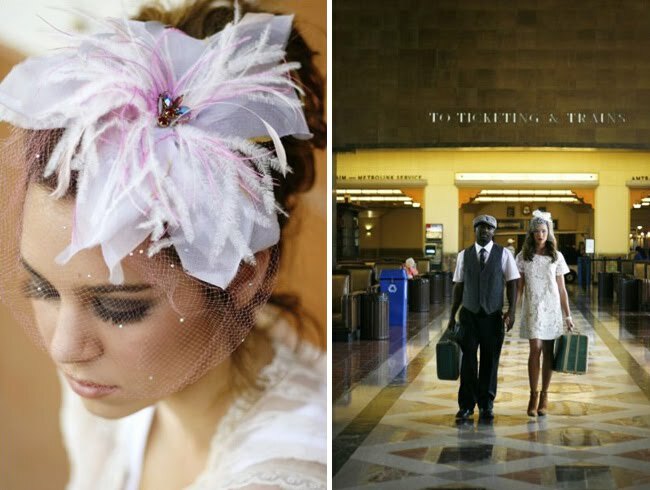 From Lo, Diandra and I wanted to get together for this shoot to capture both the many amazing details of Union Station (the tile walls, hello pretty!) as well as some of my more fun pieces that work great for Spring.Most of the wardrobe is vintage including a gorgeous lace dress from the 1920’s, sequin shell from the 50’s, vintage rhinestone necklaces/bracelets etc. I wanted to combine the vintage feminine pieces with some modern elements (shoes, jeans, etc) to showcase how wearable vintage can be! 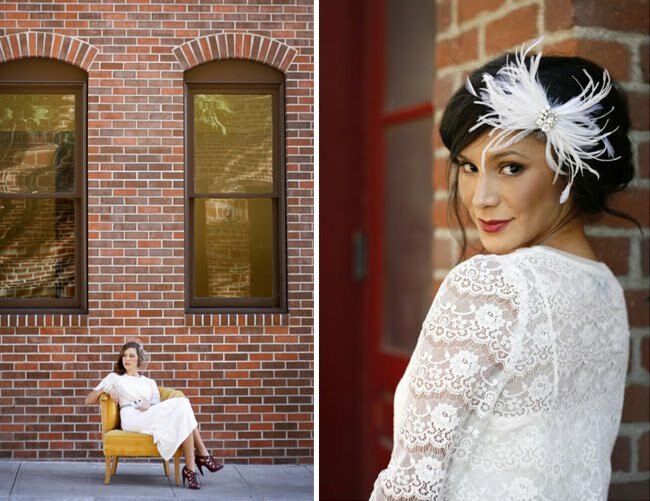 I think the shoot also shows how easy it is to create a unique yet fashion forward looks with somewhat simple clothes and great statement accessories, great for both non traditional weddings and/or engagement shoots. Thanks Lo! 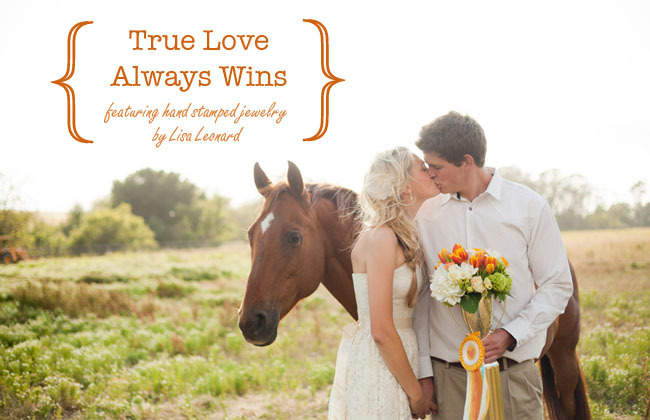 Can’t wait to see the rest of your Spring Line! You can purchase all these lovely pieces at Lo Boheme. Which bouquet color will best complement your bridesmaids’ dresses? 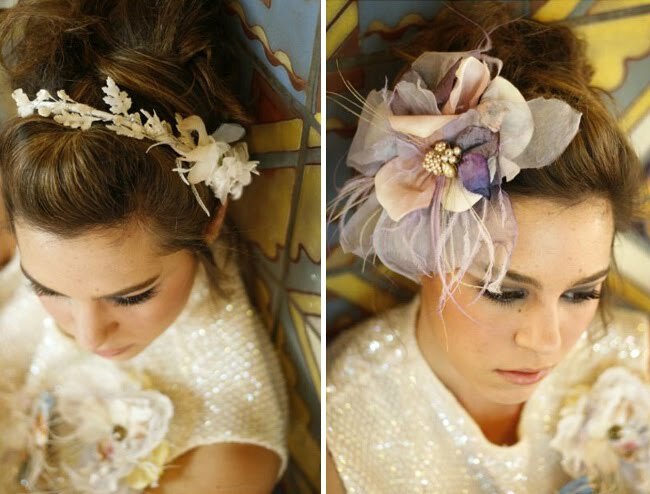 oh how I wish I had worn one of these on my big day! Such whimsy! Lo is SO amazing!! 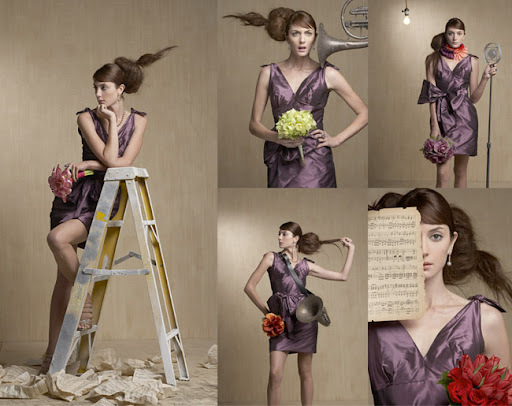 She is one of the most talented hair piece designers I have seen and I just adore her stuff! It was just this past weekend that one of my brides was wearing one of her pieces. I heart Lo! Love the new stuff! 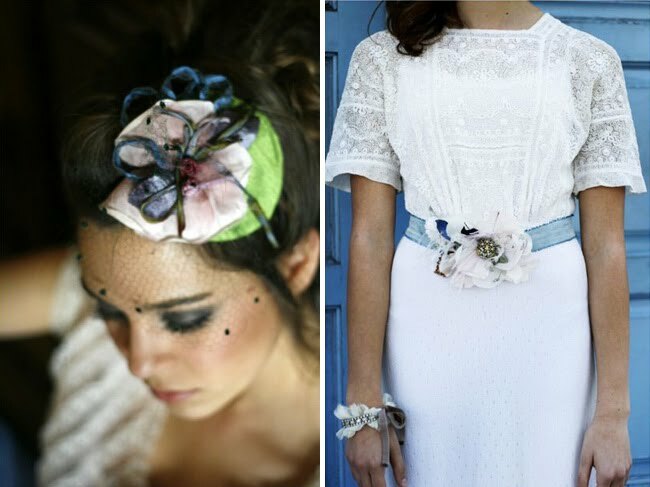 I love all of these, especially the rhinestone headband… something different than the typical tiara. They're all so unexpected, yet have a timeless look. love them! so glam and cute! i am loving those headbands! loving the spring line! Great post! I'm soo doing a short dress for our wedding celebration and I'm going to hunt down one of these hair pieces they are just too beautiful! Gorgeous photographs! 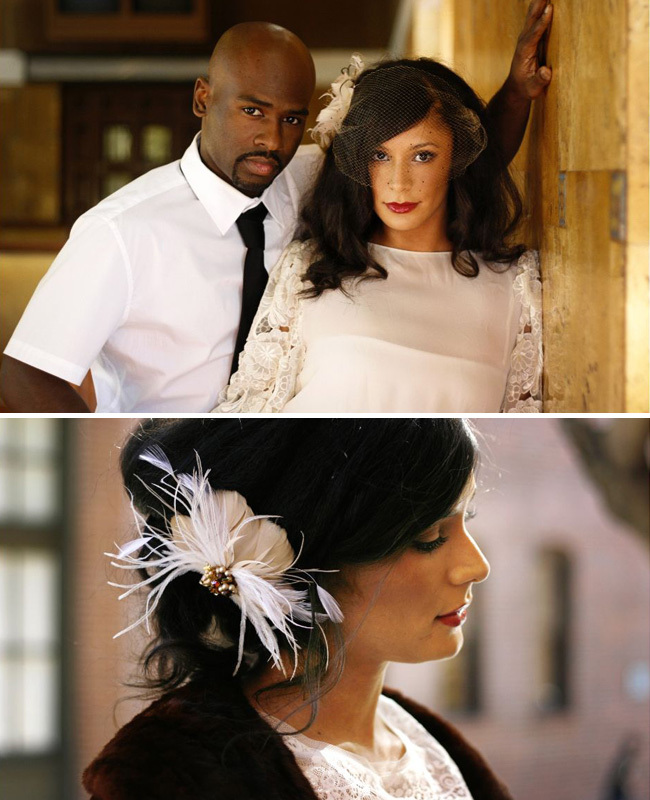 I need that long sleve dress for my wedding and the gorgeous birdcage veil! Oh how I wish I could find something so wonderful in my midwestern town! Love them!